Antonina Shevchenko, the older sister of Valentina Shevchenko, now has a new opponent for the TUF 28 Finale scheduled to take place later this month on November 30th at the Pearl Theater in Las Vegas, Nevada. Originally scheduled to face Ashlee Evans-Smith, Shevchenko will now face Ji Yeon Kim at the event, as reported by ESPN. 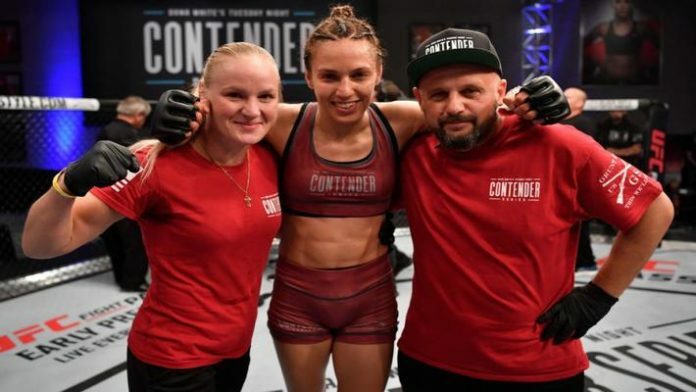 Antonina Shevchenko earned her way into the UFC by turning in an impressive performance in the second season of Dana White’s Tuesday Night Contender Series with a second-round TKO over Jaymee Nievara. Shevchenko boasts an undefeated 6-0 record and is regarded as a Muay Thai specialist, not unlike her little sister. Although Evans-Smith is out, it will not get any easier for Shevhcneko, as Yeon Kim is currently on a two-fight win streak and only has one loss on her record (8-1-2). Most recently Yeon Kim defeated Melinda Fabian in June of this year via split decision. How do you think Antonina Shevchenko will fair in her UFC debut?